Indiscriminate application of chemical fertilizers for higher crop yields may be the main source of nitrates (more than 10 mg/L) in 17 groundwater samples. 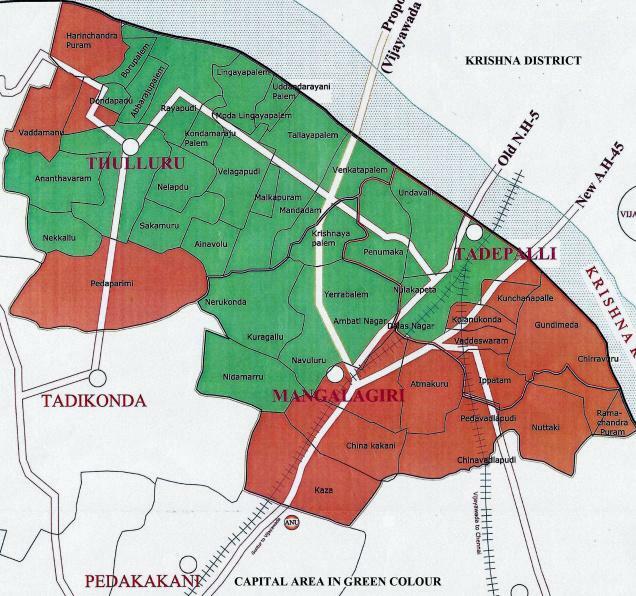 The new capital region Amaravati may have abundant groundwater resources, but a study by the Department of Geology, Andhra University and Civil Engineering Department of Malineni Perumallu Engineering College, Guntur, has revealed that concentrations of Total Dissolved Solids (TDS) exceed the maximum permissible limits in most of the villages. The team of students, K. Praveen, B. Ankaiah and K. Sasikumar have conducted the study under the research guidance of Professor of Geology, AU, Nandipati Subba Rao,and Professor of Civil Engineering Department, Malineni Perumallu Engineering College, A. Subramanyam. The team studied 28 groundwater samples, which were collected from the deep wells (depth of 40 to 60 m) in the first week of January, and analysed them in the labs at the Panchayat Raj Department and at Lam. The team analysed Total Hardness (TH), Calcium (Ca), Magnesium (Mg), Sodium and Nitrate and found that the TDS has exceeded maximum permissible limit of 2,000 mg/l, TH- 600 mg/l, and Nitrogen 45 mg/l prescribed by BIS. The concentration of TDS is high (more than 3,000 mg/l) in a few locations (Ananthavaram, Abbarajupalem, Mandadam and Nulakapeta) and also concentration of nitrates, exceeding 10 mg/l in the water, has indicated a man-made pollution. Indiscriminate application of chemical fertilizers for higher crop yields may be the main source of nitrates (more than 10 mg/L) in 17 groundwater samples of the study area, the study said. Higher content of Sodium, Calcium and Nitrogen in ground can cause gastrointestinal irritation, scale formation on water supply systems, high blood pressure, salty taste, sour taste and blue baby diseases etc, the study said. However, the groundwater quality was potable (TDS less than the maximum permissible limit of 2,000 mg/l) in some locations like, Nekkalu, Boruplalem, Lingayapalem, Udandarayanipalem, Modugulankapalem, Velagapadu, Tallayapalem, Venkatayapalem, Krishnayapalem, Yerrabalem, Dolesnagar, Undavalli, and Bethapudi. Keeping the increase of water consumption with respect to the rapid growth population in the near future of the capital area, the study recommended for fixing a number of piezometers for understanding the seasonal increase and drop in water levels, regulating sand mining, and constructing a number of rainwater harvesting structures to augment groundwater resources.